I will be graduating this time next year with my Master’s in Library Science & Information Technology. I turned in all of my homework for the class a few minutes ago and it feels really good that I’m finished with this part. I would love to go out and kick it this weekend, but I have to get a project in to complete the Mini Maymester tomorrow. The cool part about the academic rush is that I’m ahead of myself. The class doesn’t actually end until later this week. I wanted to see once again why I’m doing all of this: GREEN & WHITE NIKES — walking across the stage in them. 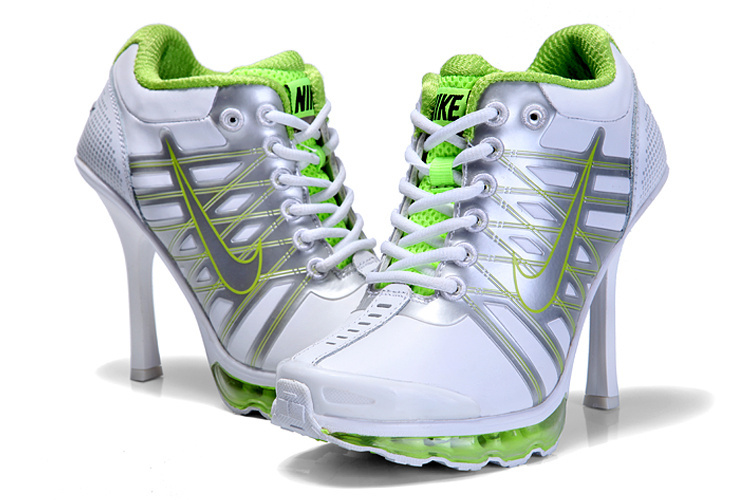 My Choice | 2013 Women Jordan Heels Nike White Green Air Max. Currently Listening to: John Michael’s > Sophisticated Lady.